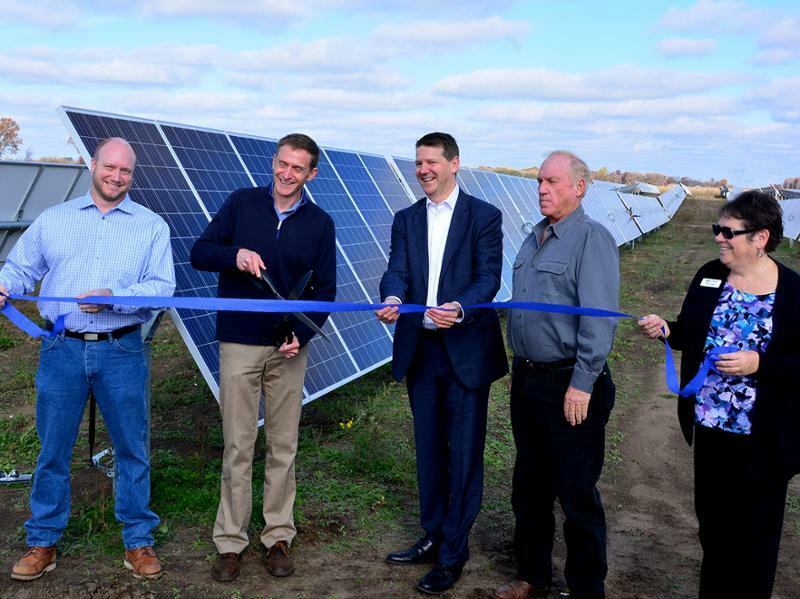 JinkoSolar has completed delivery on 140 MWdc of PV modules for the North Star project located in Chisago County, Minnesota, approximately 50 miles north of Minneapolis. The North Star Solar project will utilize over 440,000 of JinkoSolar's high-efficiency 72-cell polycrystalline modules and is expected to generate enough clean energy to power over 20,000 homes annually. Once completed, it will become the largest single solar facility in the Midwest, spanning 1000 acres of agricultural land. Swinerton Renewable Energy (SRE) served as the project's EPC contractor, providing employment to over 300 local workers during peak construction. An affiliate of D. E. Shaw Renewable Investments, L.L.C. (DESRI) acquired the project, which is expected to connect to the grid in December 2016. "JinkoSolar is committed to ensuring that our products are highly reliable and are backed with dependable service," said Nigel Cockroft, General Manager of JinkoSolar (U.S.) Inc. "Working with longtime partners Swinerton and DESRI on another substantial project like North Star is a testament to this commitment." "We are proud to build a project that will showcase the potential of utility-scale solar in the Midwest," said George Hershman, Senior Vice President and General Manager of Swinerton Renewable Energy. "Thank you to our respected client, DESRI, our partners, the communities of Chisago County, and the SRE team for their valuable roles in North Star's success." "We appreciate the dedication and commitment of JinkoSolar and our other partners in helping complete a project of this scale," said Bryan Martin, CEO of DESRI. "This is the largest single solar project in Minnesota, and we are proud of the jobs and clean energy we have created together."